San Diego’s North County is in the northern area of San Diego County. North County consists of cities, communities, organizations and residents that work together to promote a healthy, safe and thriving region. North County stretches across approximately 2,758 square miles. 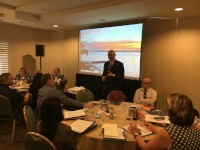 North County has a population of 1,127,658 residents (2016 data), one third of 3.3 million residents in San Diego County, and consists of ten cities (Carlsbad, Del Mar, Encinitas, Oceanside, Solana Beach, Vista, Escondido, Poway, San Marcos and the northern part of the City of San Diego) and dozens more communities that stretch geographically from Del Mar in the south to the Orange County and Riverside borders in the north and east to Julian and Borrego Springs. 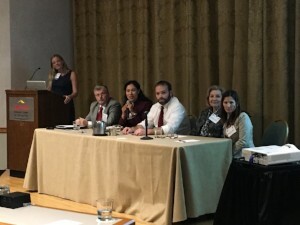 Residents identify themselves with pride as being from North County and sharing common ties such as geographical expanse, distance, traffic, and travel patterns to/from the primary metropolitan areas of San Diego. The US Marine Corps' largest installation, Camp Pendleton, is in the northwestern corner of San Diego North County. 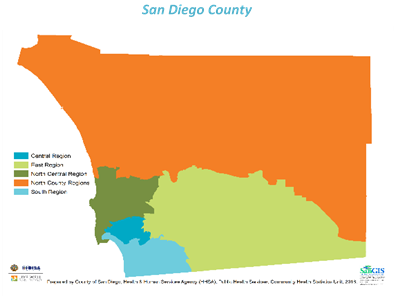 North County encompasses more than half the entire San Diego County 4500 square miles. 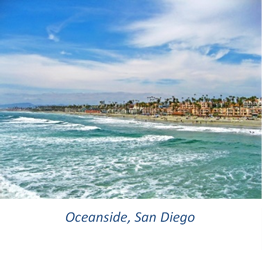 The community enjoys a wide variety of educational institutions, open spaces, beaches, lakes, parks, walking trails, mountain and canyon trails, nature preserves, historic land marks (Old Mission San Luis Rey in Oceanside), and a diverse population. 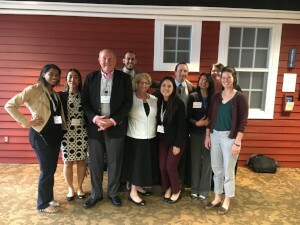 The diversity can be attributed to this vast region, which includes suburban areas, beach neighborhoods, remote desert communities, historic mountain towns, rural homes and farms, and Tribal reservations. The median household income in North County is $76,000-$79,000 with income averages ranging from a high in Poway of $111,588 to a low in Anza Borrego with $33,148. The average income on the military base Camp Pendleton is $41,371. The community is very proud to provide home for the San Diego Zoo Safari Park in Escondido attracting over 3 million visitors annually to see more than 3,500 animals. Another well-known attraction in North County is the first Legoland theme park in America located in Carlsbad. The Palomar Observatory located atop Palomar Mountain attracts tens of thousands of visitors a year from all over the world to see the famous 200-inch (5.1-meter) Hale Telescope. The historic mountain town of Julian was formed during the 1870’s gold rush and is home to the famous Julian apple pies. Of San Diego’s 44 school districts, 25 are in North County. There are also several community and private colleges as well as Cal State University San Marcos in San Marcos. North County has its own airport, several hospitals, many community clinics, industry, retail, business parks, large fruit orchards, vineyards, breweries, casinos and The Flower Fields in Carlsbad. 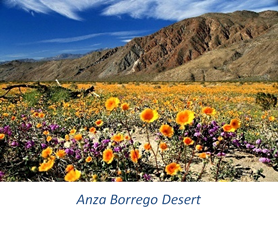 The Anza Borrego Desert State Park spans 600,000 acres and is the largest state park in California. A Coaster train and Sprinter light rail operated by North County Transit District offer residents of North County the ability to travel from North to South and East to West. North County is home to the largest growing senior population in San Diego County. Residents age 65 and over enjoy the Coastal communities of Carlsbad and San Dieguito (17.2% of the population are 65+), the desert community of Anza-Borrego Springs (33% are 65+) and the beautiful mountain community of Palomar-Julian (28.9% are 65+). Additionally, over 30,000 male and female active duty military call North County home, with over 21,000 living at the Marine Corp Base Camp Pendleton. The ethnicity demographics across North County include 56.1% White, 28.7% Hispanic, 9% Asian and 2.6% Black. Ethnic diversity varies throughout the communities with the Cities of Vista and Escondido reflecting more than 46% Hispanic and one out of every five residents speak Spanish only. North County is also home to 9 of the County’s 19 Tribal Reservations, more than any other County in the nation. These include Pala, Pauma and Yuima, La Jolla, Rincon, San Pasqual, Mesa Grande, Santa Ysabel, Inaja and Cosmit, and Los Coyotes Reservations. San Diego boasts top crops in nursery, avocados, tomatoes, citrus, poultry, mushrooms, and strawberries, most of which are grown in North County. Almost 70% of San Diego County Farms are 1-9 acres and nearly 20% are operated by women. San Diego county has more certified organic growers than any other county in the nation with more than 400 certified organic farms. 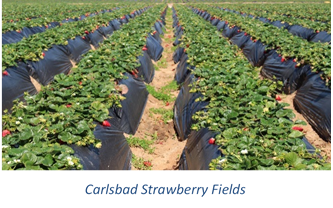 The highest concentration of agricultural workers is in the Borrego Springs and Pauma Valley areas of North County.